Ohio’s capital city has so much to offer— one weekend trip to Columbus is never enough! 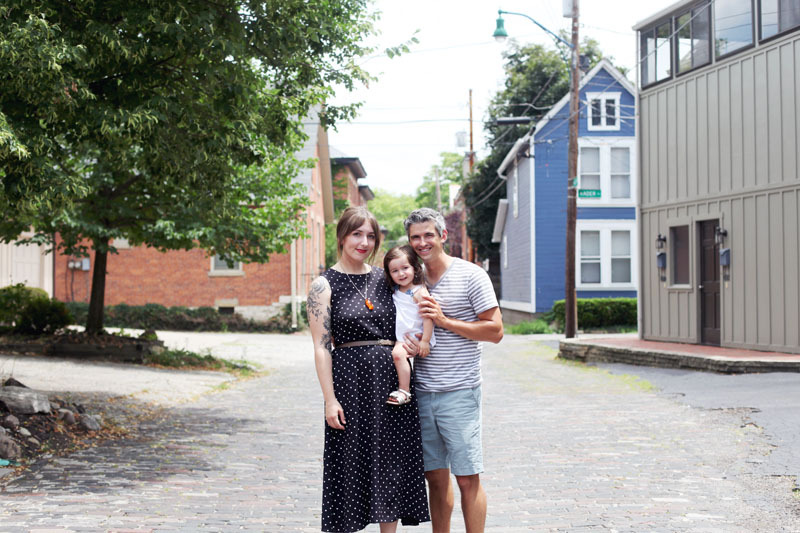 Our little family teamed up with Experience Columbus to showcase some of my favorite parts of Columbus, and we had such a fantastic time! 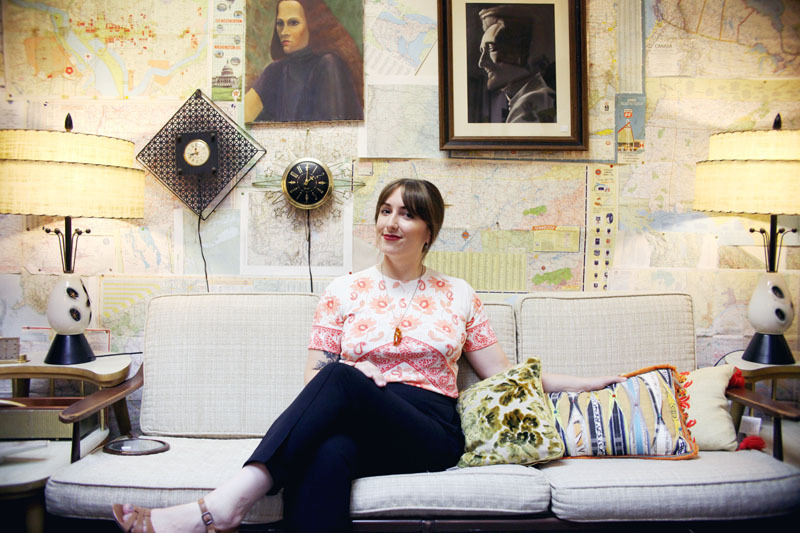 We can’t wait to get back and explore more places I remember enjoying as a child, like Cosi and the Olentangy Indian Caverns, as well as some adult-me favorites like the Wexner Center for the Arts, the Columbus Museum of Art, and, of course, some more downtown restaurants. We ran out of belly space during our weekend trip! 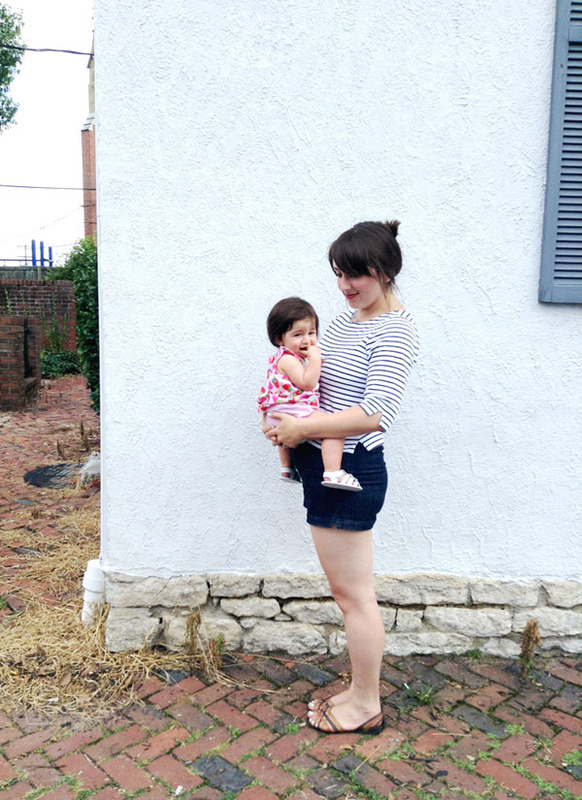 Check out the Columbus places we loved the most! 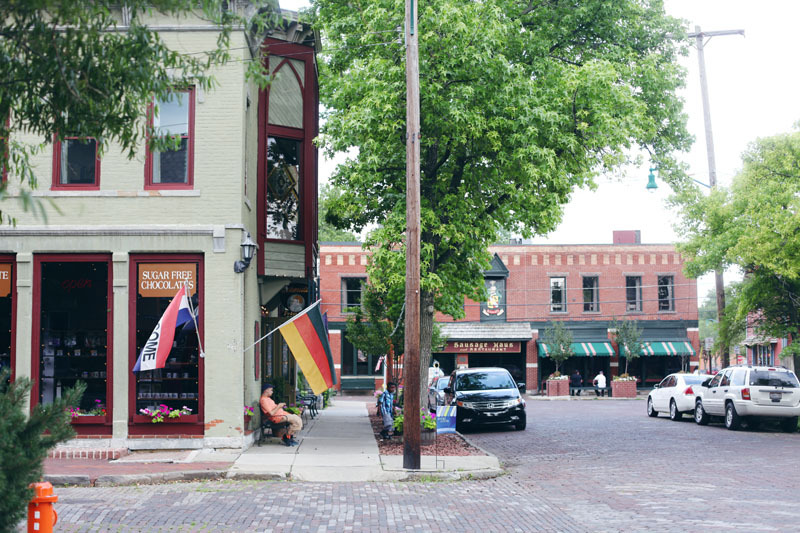 We started eating our way through Columbus early Saturday afternoon in the charming neighborhood of German Village, where my sister-in-law lives. 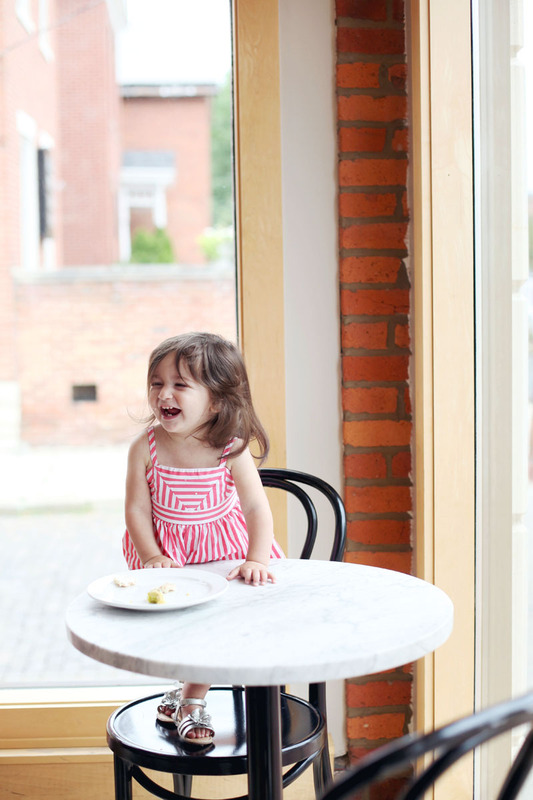 Pistacia Vera is an exceedingly charming bakery and cafe in the heart of German Village. 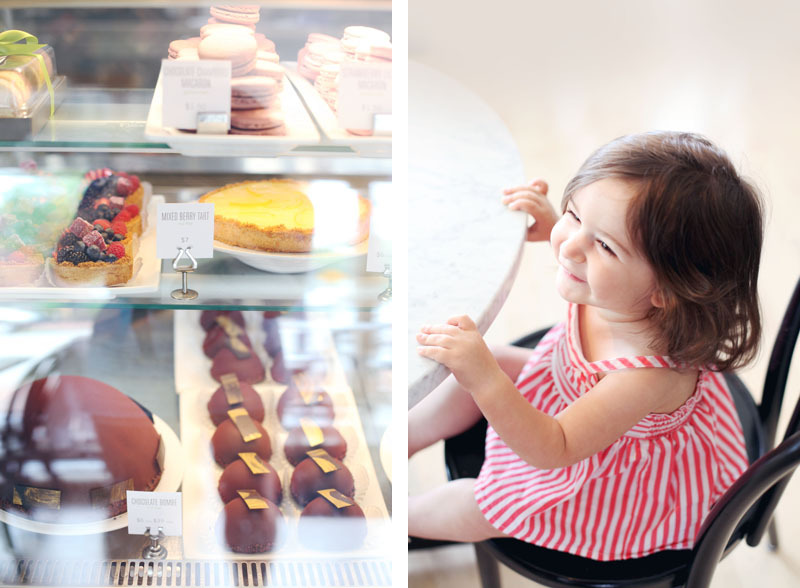 Everything about PV (as the locals have affectionately dubbed the shop) is on-point, down to the marble table tops, charming Thonet chairs, sophisticatedly simple menu, and to-die-for treats. I can’t believe I had never visited! It’s about a block from my sister-in-law’s house, so I’m already looking forward to popping in at Pistacia Vera first thing during our next Columbus trip! I’ve never been to a place as magical as The Book Loft in German Village! 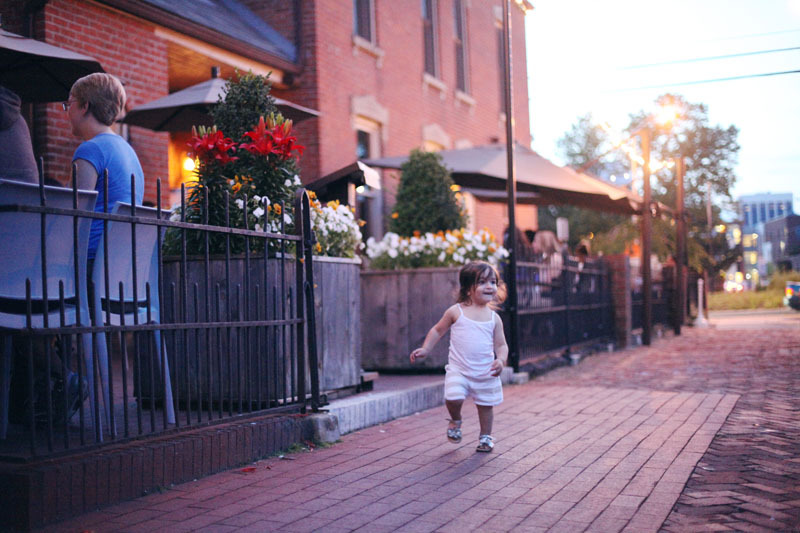 Just the pathway leading into the Italianate style building is an experience, with a long cobblestone garden area that opens to tables of books that you can’t wait to get your hands on. 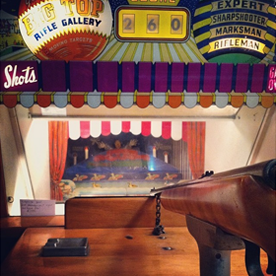 The interior of the building has a few annexes, and you can wind your way through this place for hours. I’m not even kidding! The Book Loft boasts being one of the largest independent book stores in the country, and I believe it. It’s a treasure trove of literary enjoyment. And if you don’t like reading so much, but prefer baking, don’t worry— there’s a whole room dedicated to the subject! We’ve been looking for some very specific alphabet books for Lucy that would coordinate well with Phil’s kindergarten Zoo-phonics reading curriculum (He’s a teacher, in case you didn’t know! ), and The Book Loft had so many options for us to choose from. Lucy loves the book we selected for her! After starting our Columbus visit in German Village, we headed downtown to the Short North for some shopping. Columbus has a nice amount of street parking in the areas around High Street, which is where most of the downtown shops and restaurants are located. You do have to pay for street and lot parking except for Sundays. There’s also an easy bus system and bike sharing program available for car-free transportation. We started shopping on the north side of High Street in the Short North, and worked our way south until we’d visited all of the shops we had time and energy for. 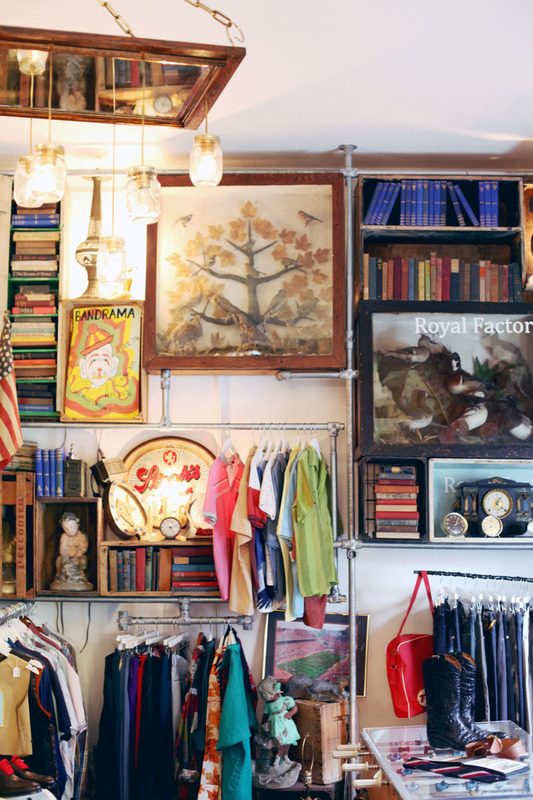 Our first stop was at a clothing shop I really adored— Royal Factory Atelier. 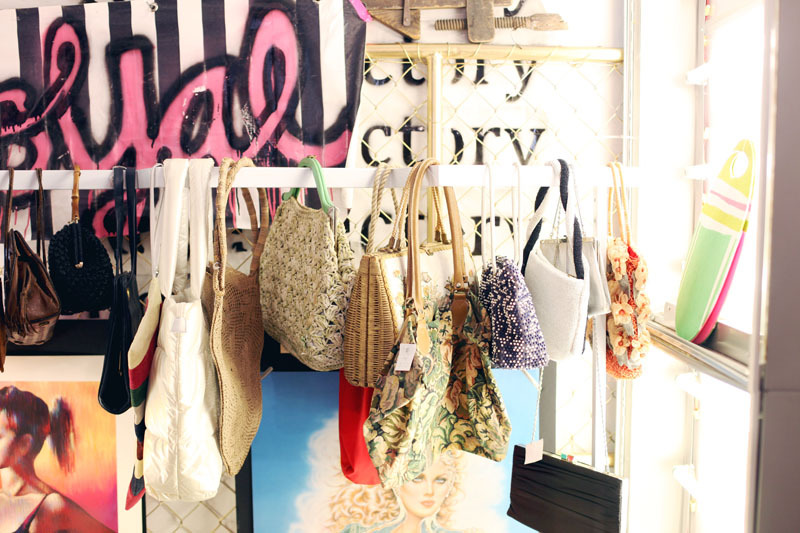 They have a nice selection of men and women’s clothing as well as some decor and art. 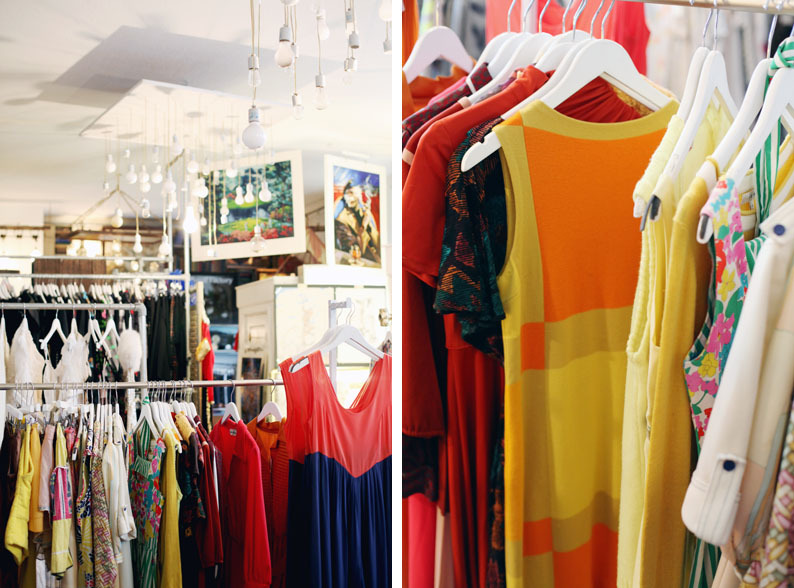 Everything in the shop is either vintage or from an indie label— there’s a nice amount of variety. 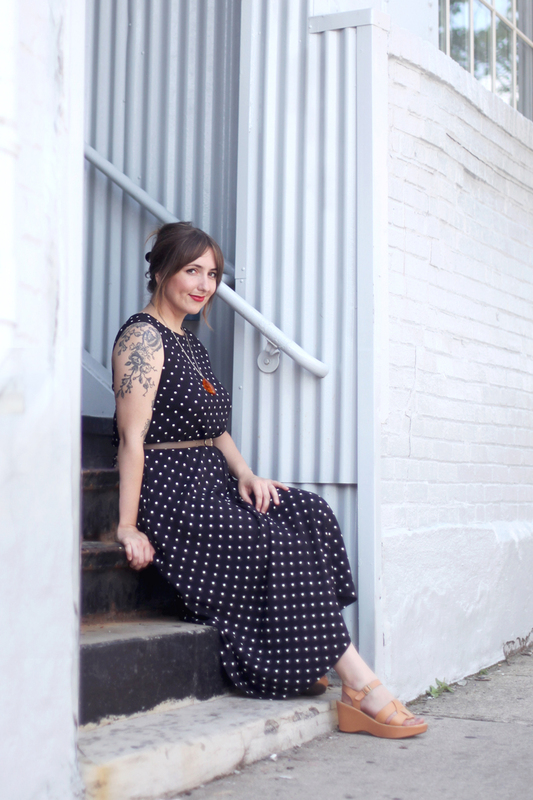 I particularly love the line of women’s crop tops made from vintage dresses. Some of the dresses were made into matching sets of skirts and crop tops. I’m still kicking myself for not getting one! 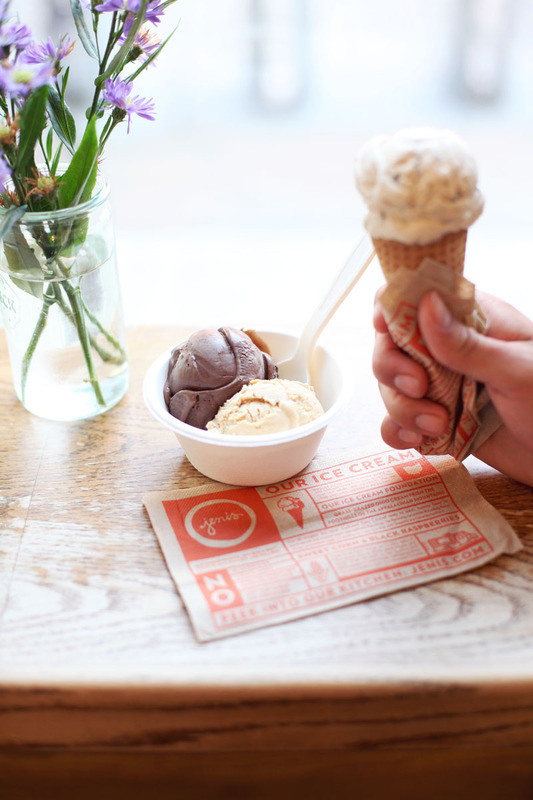 Most of you probably have heard about Jeni’s ice cream if you use social media these days. And there’s a reason the Columbus ice cream shop has sky-rocketed to fame! If you haven’t found a way to taste some for yourself, you really must. Jeni’s offers unique flavor combinations without being too out-there— I promise, if my husband’s timid tastebuds will enjoy it, so will yours! I normally am not much of a fan of chocolate ice cream because it’s a bit too much cream and not enough of that chocolate punch, if you know what I mean. But Jeni’s dark chocolate ice cream changed my life. I’ve heard good things about the riesling poached pear, but one scoop of dark chocolate and one scoop of brown butter almond brittle was all I could fit into my belly. 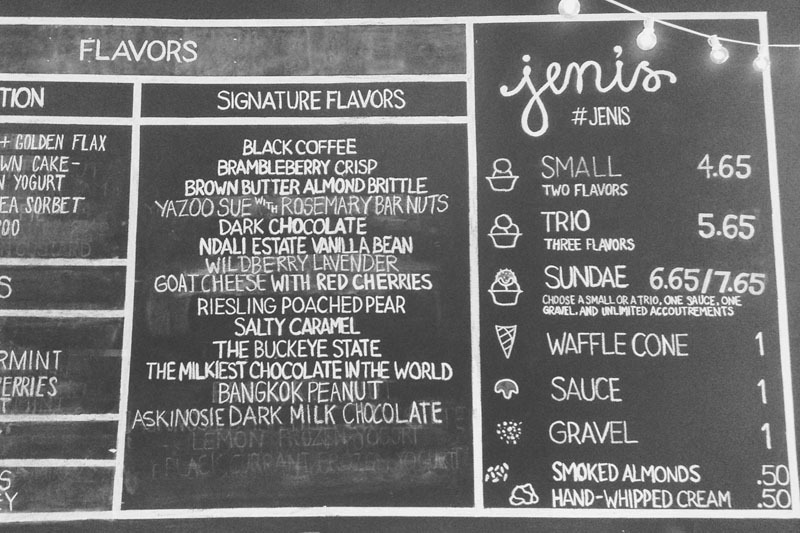 If I lived around a Jeni’s, I would definitely try all of the flavors! The first time I walked this charming resale shop in the Short North, I think it was a couple of hours before I saw daylight again. 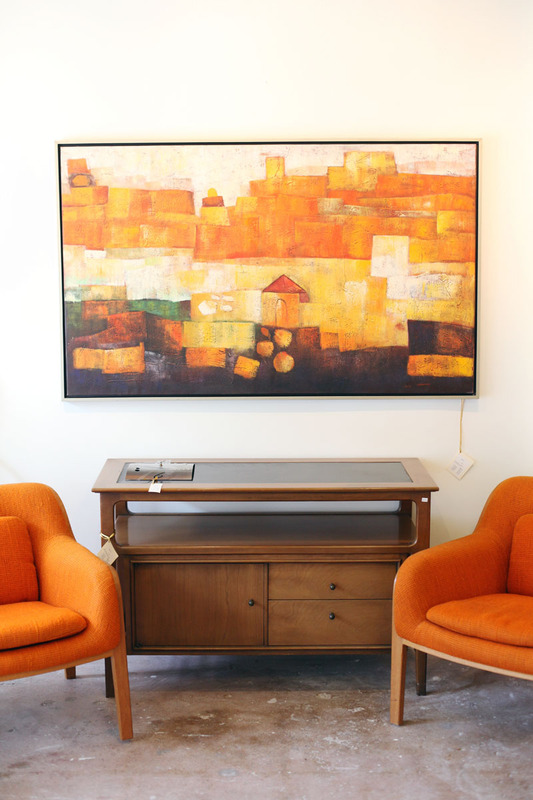 Grandview Mercantile is a wonderfully curated consignment shop featuring a wide variety of antiques, art, home furnishings, and decorative accessories. I always find entirely too many things I like each visit, though restrain myself from making a purchase. But this trip I actually walked out with a treasure. I found a large panel from an antique photo booth that I can’t wait to hang as art in my home! Even better- it was originally from Cedar Point, which is a beloved Ohio amusement park. 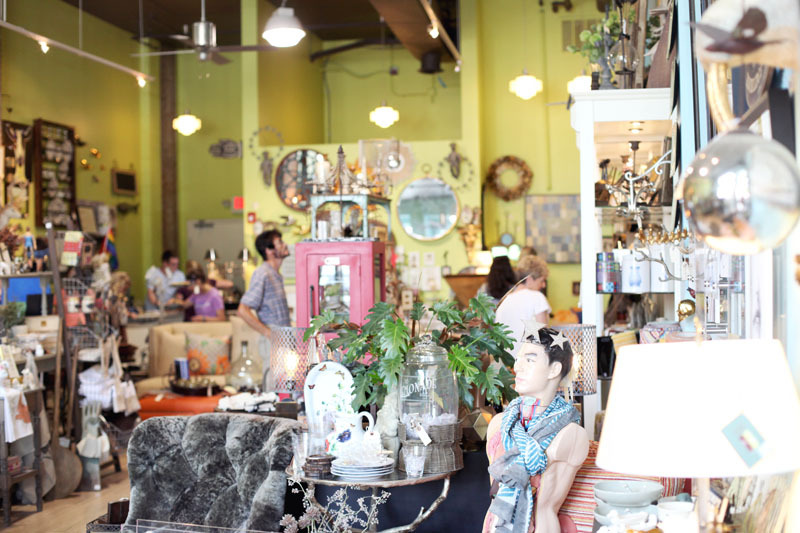 The prices at Grandview Mercantile vary, but it’s certainly not low end. My sister-in-law found a nice console table for less than $50, and the large photobooth panel (It’s huge.) I got was $240. The great thing about their prices is that they go down the longer each item is in the shop. Each item has a tag with a series of prices, starting with the highest, and then dates alongside each lower price, indicating when the price will drop down. If you can’t afford something when you see it, you can always wait to see if it’s still there when the price starts dropping lower. Pretty cool, huh? 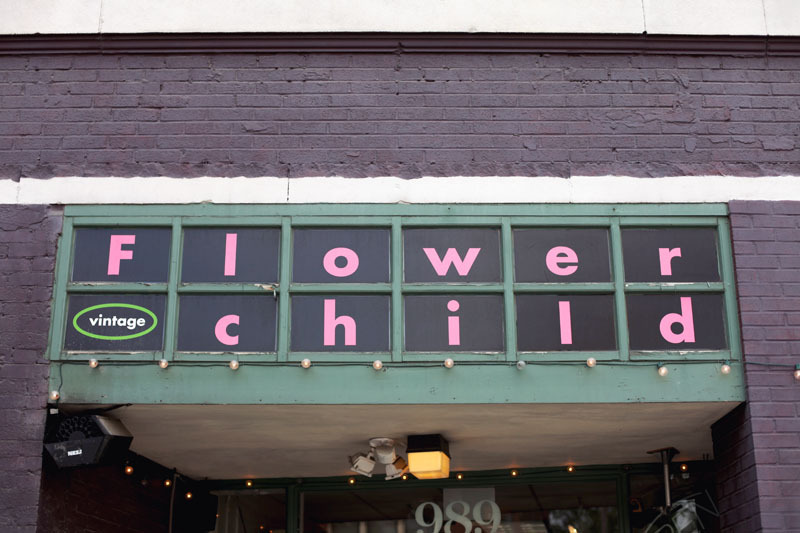 I was so excited to see that Columbus has a sister store to Cleveland’s Flower Child Vintage! 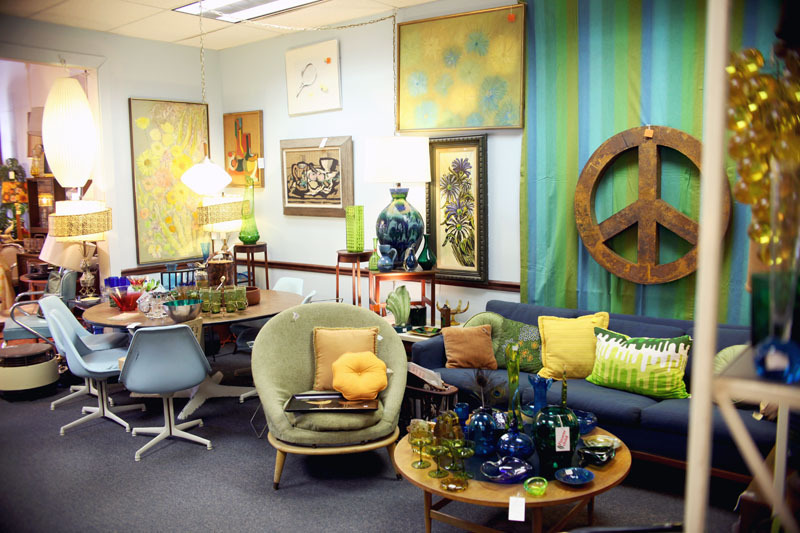 The Columbus Flower Child is very similar to our Northeast Ohio location, boasting two floors of vintage furniture, home decor, and clothing for men and women. 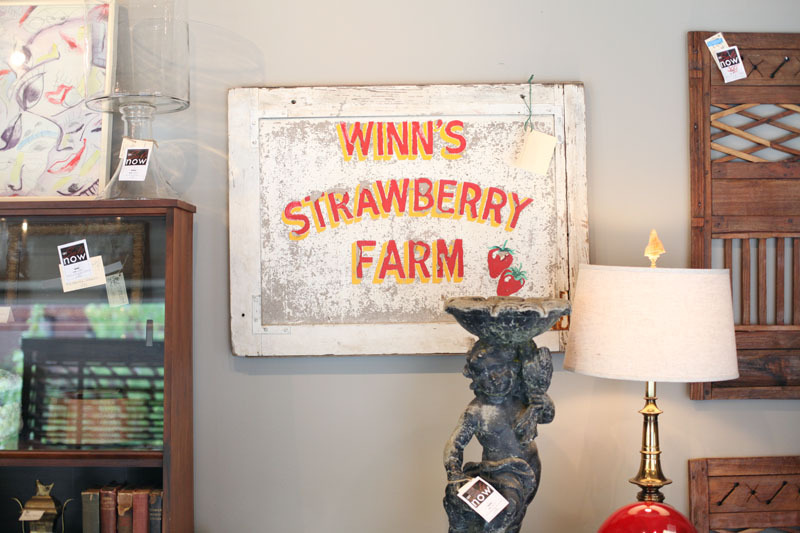 The shop mostly houses 1960s-1970s items, but you’ll also find things from the 1930s all the way through the 1980s. 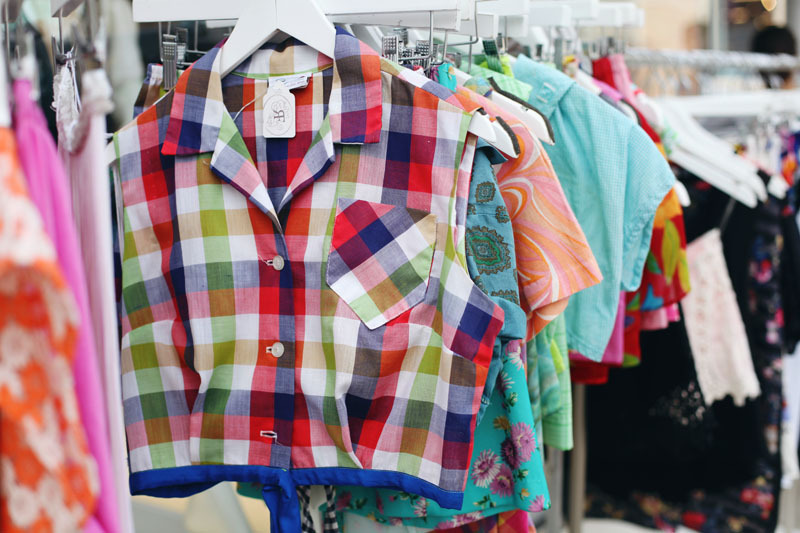 The prices are average for vintage shops— not too expensive, but not cheap. It’s certainly worth a visit! I walked away with two gorgeous summer tops for $38. After a long day of shopping, I was really craving a margarita, and Lord knows Mexican food always hits the spot. Bakersfield is a fresh, trendy restaurant on High Street in the Short North with a combination of indoor and outdoor dining (The window wall slides open.). I drank the best margarita of my life at Bakersfield, made with all fresh ingredients and agave nectar. We really loved our meals and I still have dreams about the amazing guacamole we ate with their fresh chips and salsa. We’ll be back, Bakersfield! 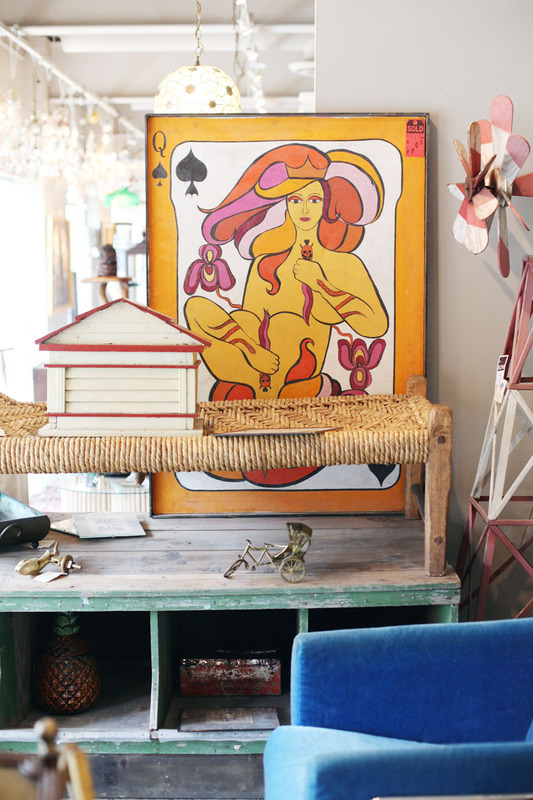 Happy Go Lucky Home is filled to the brim with fun and whimsical home accessories. 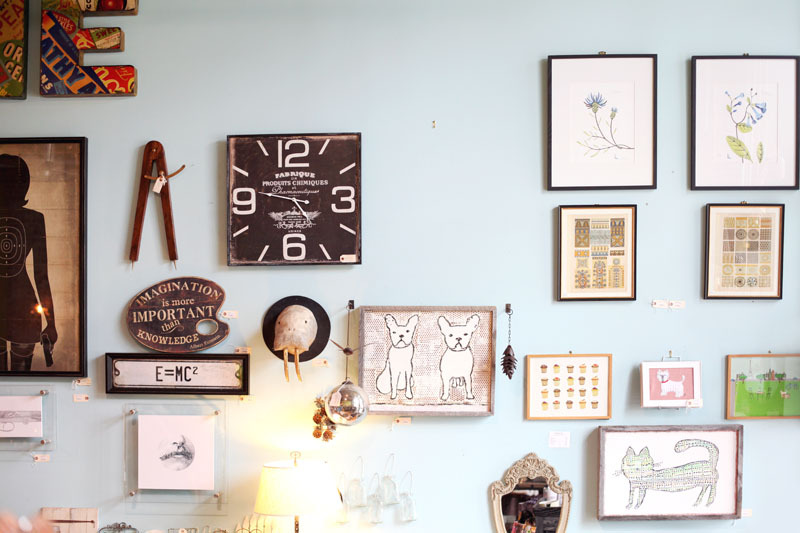 They have a great collection of Sugarboo art (like the one hanging in my bathroom), and it took all of my willpower not to buy that dog painting in the middle of the photo above. 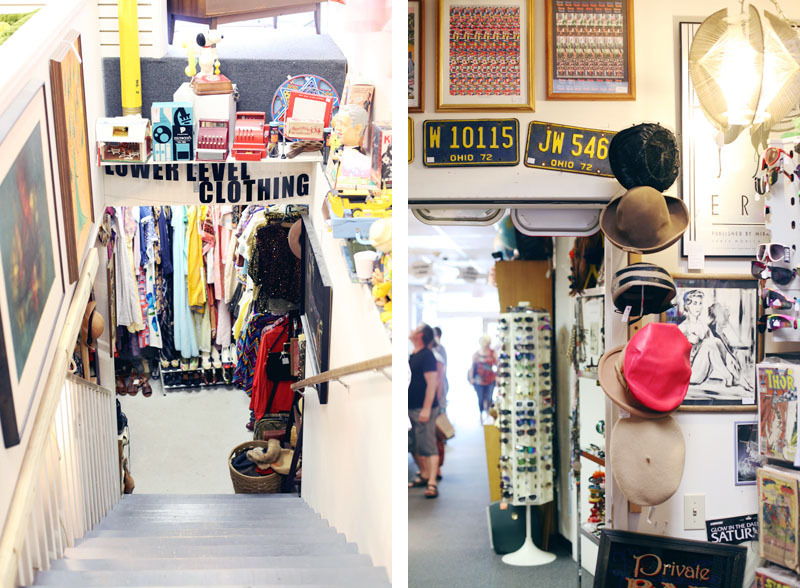 You guys, this place has oodles of quirky charm, and the people who run the shop are pretty great too! They have a great heart for Ohio and their local community, so you can feel extra good about giving them your money. 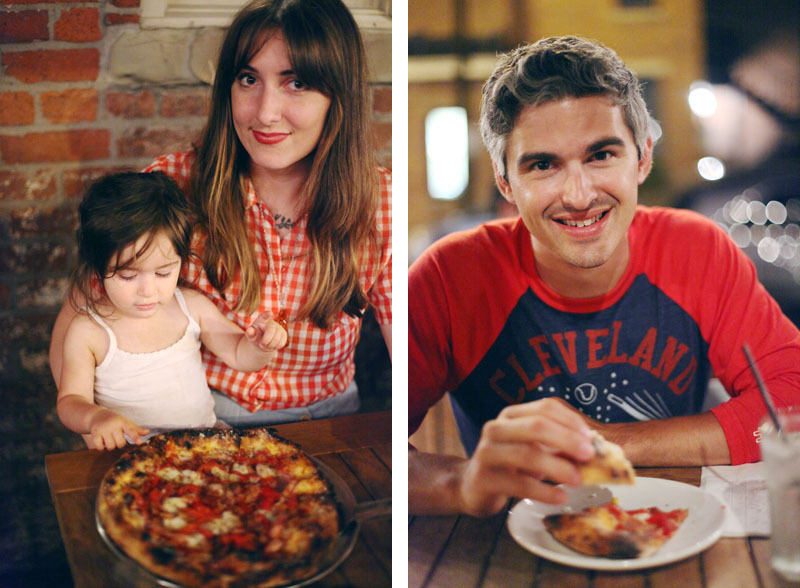 On Saturday night, we decided to walk over to Harvest Pizzeria in German Village for some tasty pizzas. Next door to Harvest Pizzeria is Curio, a really nice little cocktail bar with a menu of classic and modern drinks. We ordered a couple to enjoy while we waited for our pineapple pizza and our Ohio double bacon pizza. Eating outside was really nice, and the other patrons were really friendly and interacted with Lucy while we waited for our table. 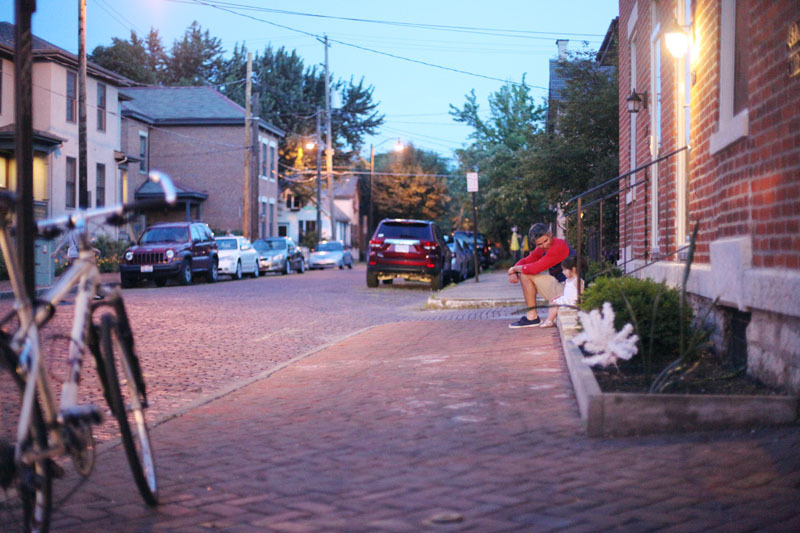 It was a really nice experience in such a beautiful corner of German Village. 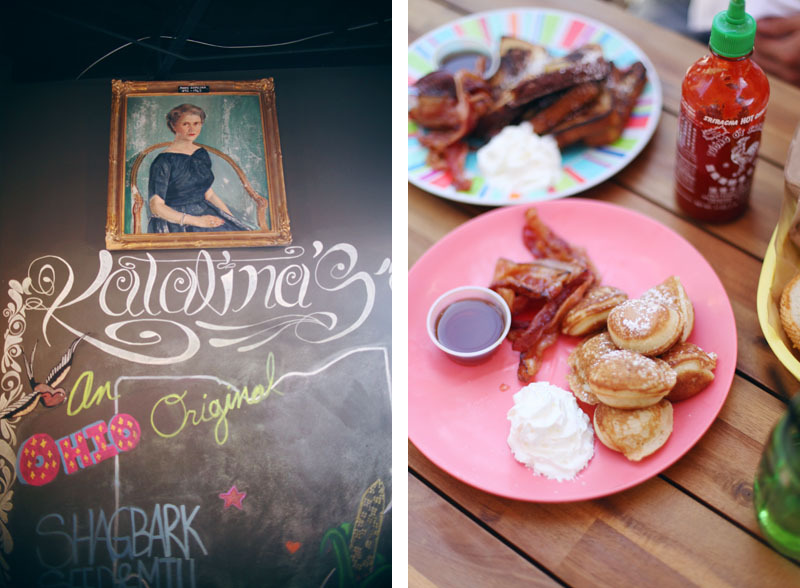 No visit to Columbus would be complete without a visit to Katalina’s Cafe Corner in Victorian Village. 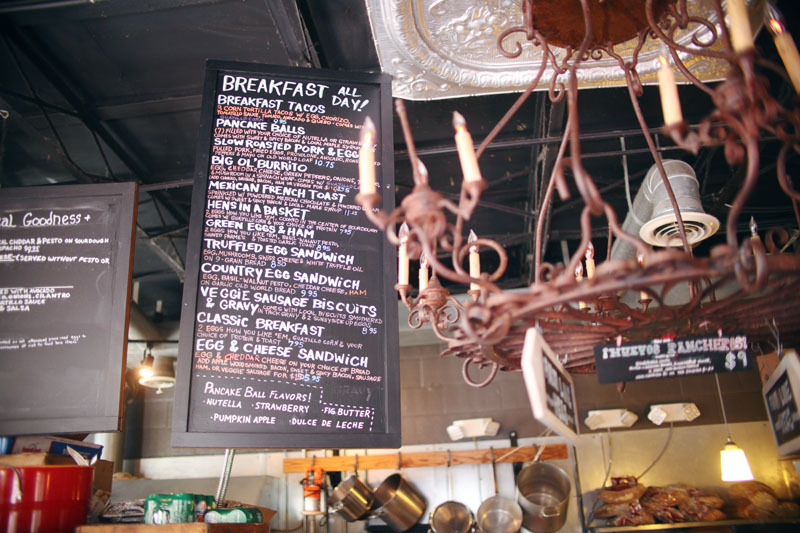 This carry-out style restaurant is almost Brunch Village popular— and for good reason! 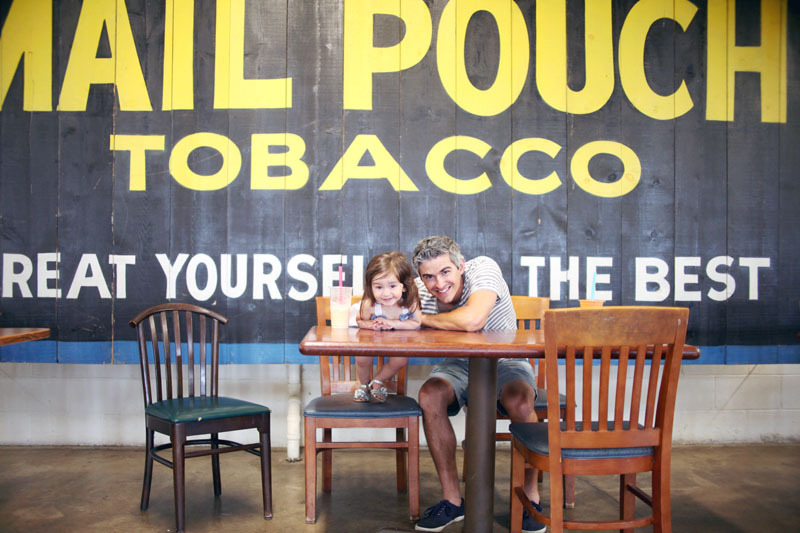 Katalina’s Nutella-stuffed pancake balls certainly bring out quite a crowd on Sunday mornings! 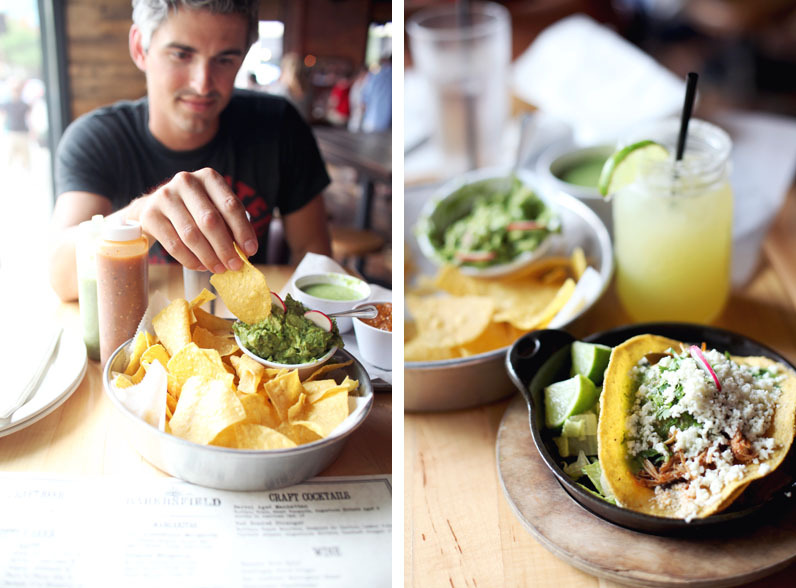 Their menu is fresh, modern, and Mexican inspired (my favorite! 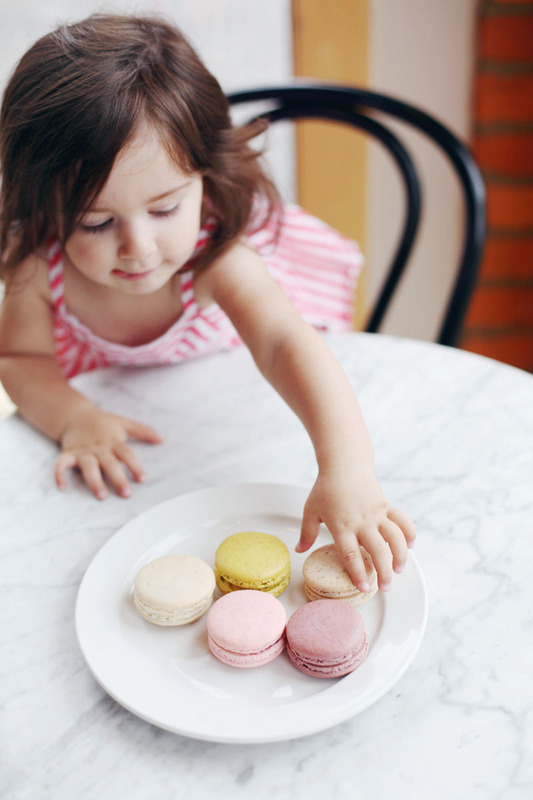 ), and includes something everyone can enjoy— even our picky toddler! Lucy loved eating bites of Phil’s french toast while I stole pieces of his sweet and spicy glazed bacon. 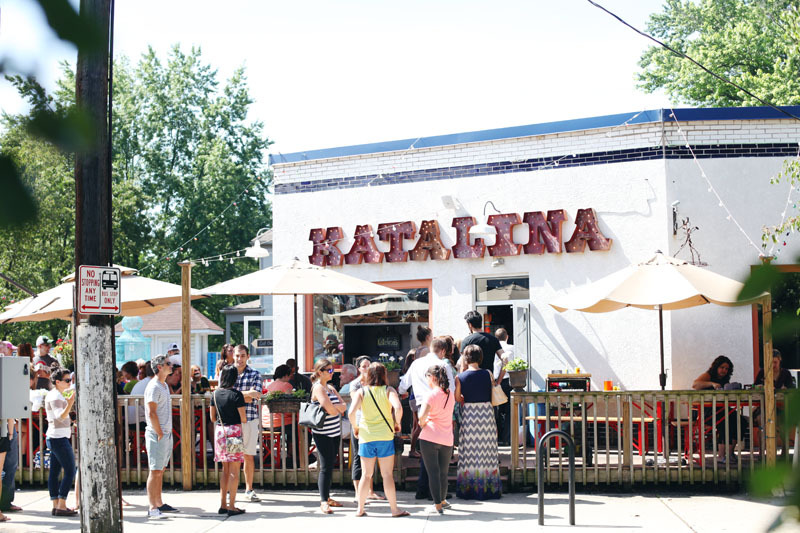 Though the line at Katalina’s can get long during prime brunch time, it does move really quickly, and they just updated their outdoor seating to make sure everyone can sit down when their food is ready. (There are also a few small indoor tables.) We enjoyed our delicious brunch under the shade of the table umbrellas outside and shared our community-style table with some nice Columbus gals who politely passed the napkins when we asked. 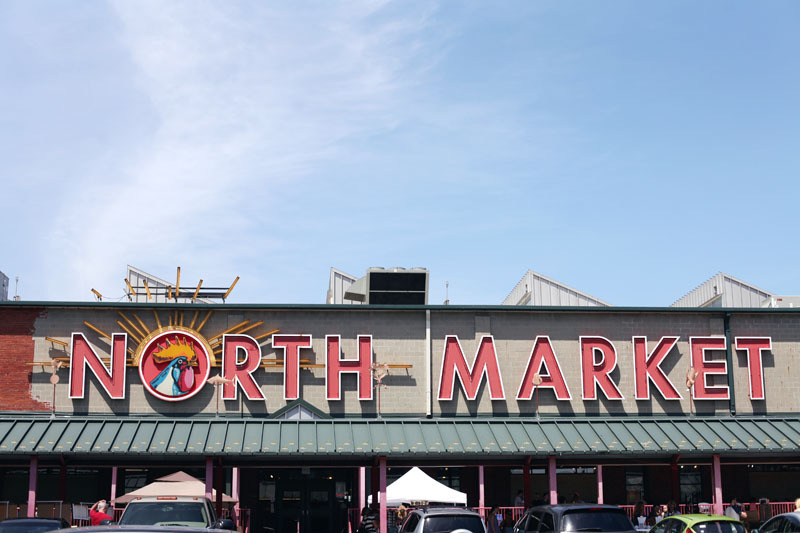 Head out to the North Market in Columbus on Saturday mornings for local farmer’s bounty and visit on Sundays for the flea market where local artisans sell their creations. I was really impressed with the quality of goods for sale outside at the Market Flea— there was none of the junk you might typically find at a flea market— everything was really nice and well made! 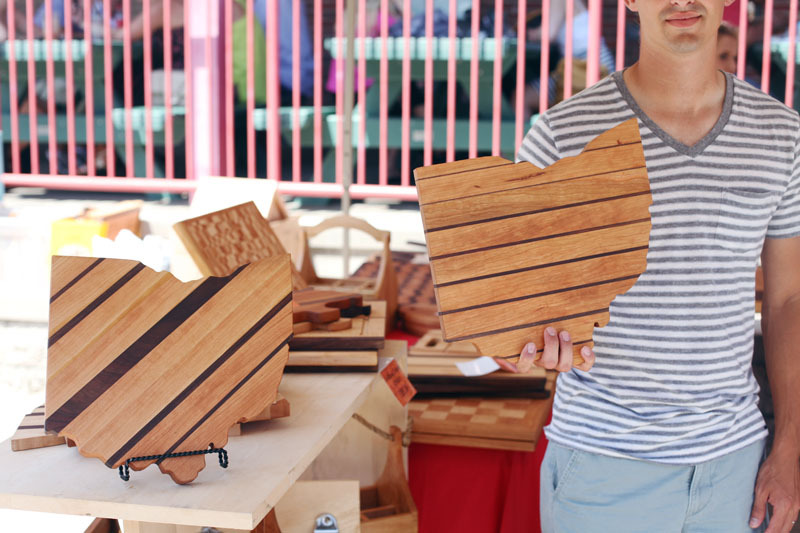 We picked up a beautiful Ohio state shaped cutting board with a nice pin-striped pattern. 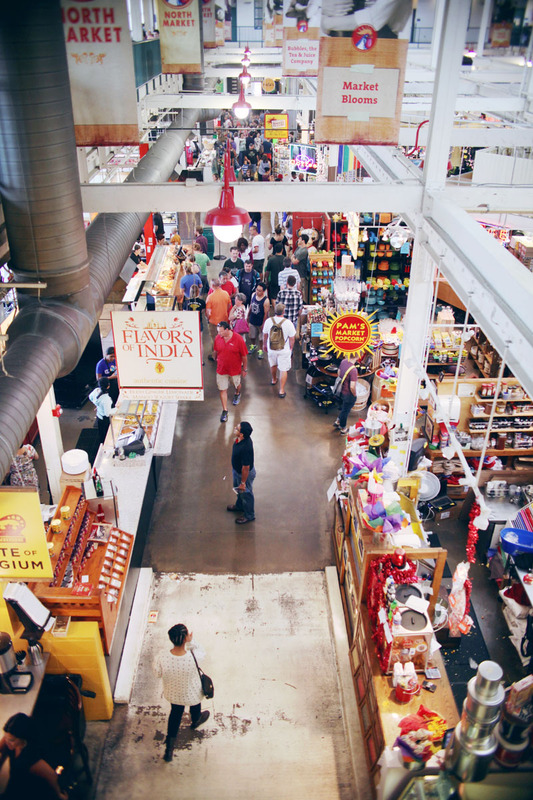 Inside the North Market is a wide variety of food vendors, bakers, retail vendors, and even branches of other beloved Columbus shops, like Pistacia Vera and Destination Donuts. We had some fresh juice and smoothies and barely resisted the urge to grab some Belgian crepes (we had just eaten at Katalina’s). There’s a mezzanine level at the North Market where you can sit down to eat your food while looking down to people watch at the market below. Lucy had a lot of fun running around up there (with our close supervision, of course). Columbus is really such a great city to live in, and perfect for visiting on the weekends. If you’re just driving through Ohio, you should take some time to explore a little of Columbus! There are lots of fun things to do, and great outdoor activities that I didn’t even cover in my weekend. We can’t wait to visit again soon! For me, summers past are marked by the music that accompanied them. 2010 was for biking downtown to the coffee shop with wayfarers on my eyes and the Black Keys in my ears. 2011 was for weekly garden parties and Motown. 2012 included swollen feet everything, Cleveland pride, and Dr. Dog on vinyl. 2013 was for manufacturing feelings of a fabulous life during cancer treatment with Ella Fitzgerald on Pandora in my forever messy kitchen. 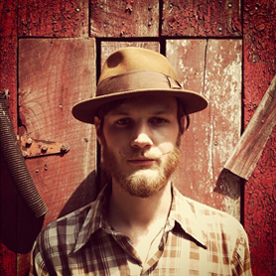 During the past four summers, music has seen me through some difficult times and even helped to develop my intense local pride for northeast Ohio. Good things come out of this place I call home, and one of them is a merry band of friends who play soul-satisfying music fit for the perfect summer sountrack. 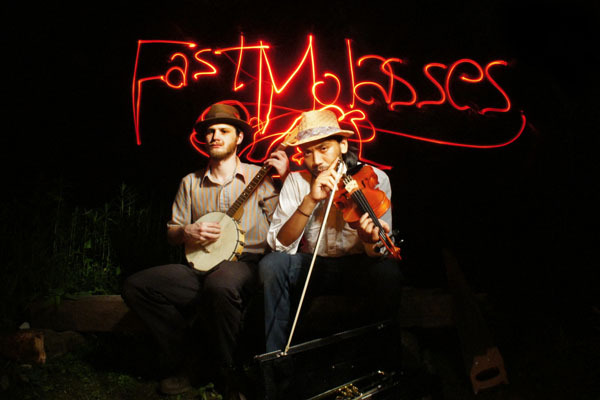 Fast Molasses has come a long way from their Friday night house parties— and I mean that quite literally! The boys have moved all the way to the Pacific Northwest, so I don’t see them around Canton any more, but Christopher mailed me some music with a nice handwritten note, even enclosing some chocolate mint from his garden. He said I should make a pitcher of ice tea and listen to the CD with headphones on one lovely summer night. It was perfect. 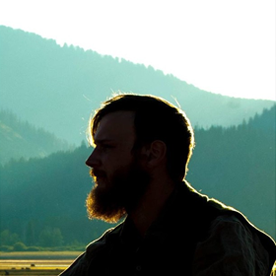 If you need a little Americana in your life (Who doesn’t? 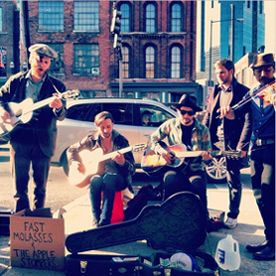 ), click through to listen to Fast Molasses on Bandcamp and download their new album, From the Sugarcane. 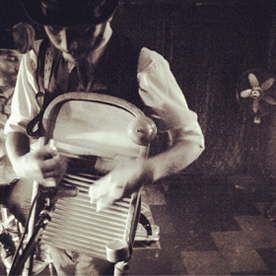 Along with a pitcher of sweet tea, their music will infuse your summer with exactly what it’s been missing. Oh, and follow their adventures on Instagram here and Facebook here. Miss you guys around here! Thanks for sending the music! 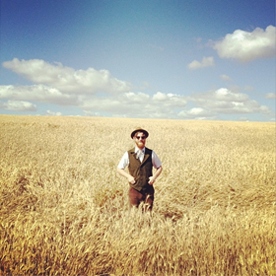 Summertime seems made for exploring. I love traveling far from home, but I think a lot of us really neglect exploring the cities near our own homes. Columbus, Ohio is a place I’ve visited lots of times through my life, but I’ve only recently begun to dive deeper into the city to see what it has to offer, aside from the obvious— Ohio State Football. (I’ve mentioned before that I married into a Buckeye-crazed family!) I’m loving the wealth of culture Columbus has to offer, and this weekend Phil and I are headed to Ohio’s capital city to experience all the fun we can in one weekend. 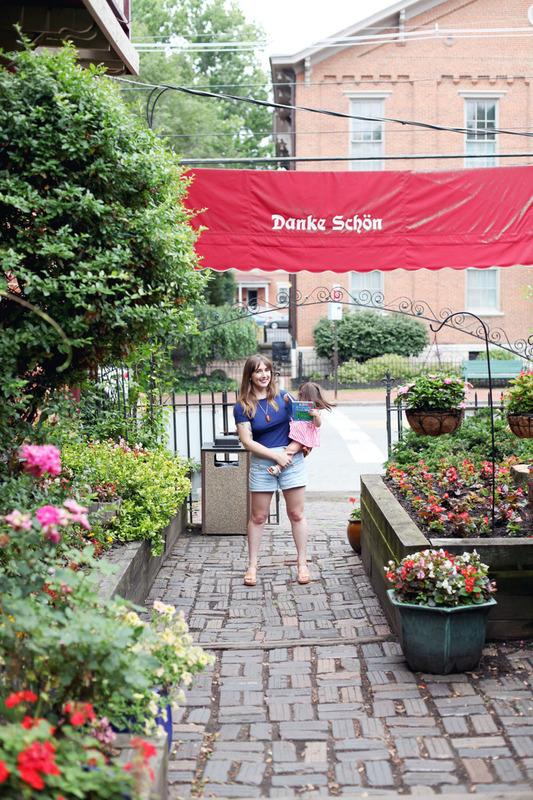 My sister-in-law recently moved into the German Village neighborhood of Columbus, and I’m simply smitten with its charm! We’ll be starting our weekend there, but check out all of our plans below. If you’re from Columbus, you should pretty please share you favorite spots so we can check them out! 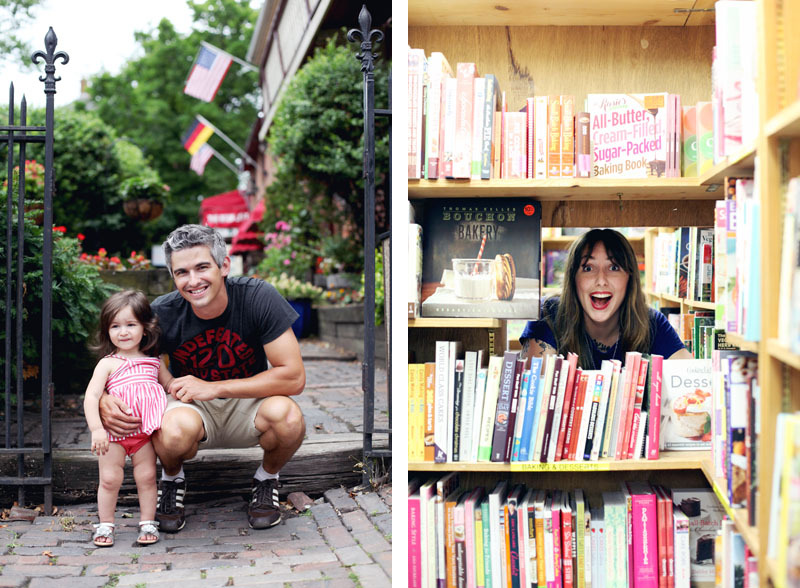 The Book Loft: Located in German Village, this shop is one of the nation’s largest independently owned book stores. I’ll be stocking up for my Summer reading! Pistacia Vera: A stone’s throw from where we’ll be staying in German Village, this might be a bit dangerous, you guys! I’m a sucker for fine baked goods, and I hear this little shop shouldn’t be missed. 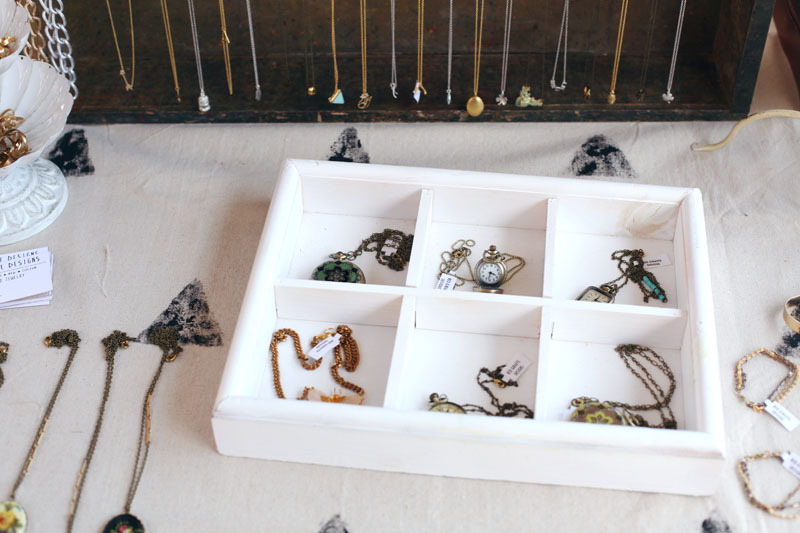 Shopping in the Short North: I love checking out the boutique shopping scene, and I hear Columbus has a number of vintage shops. 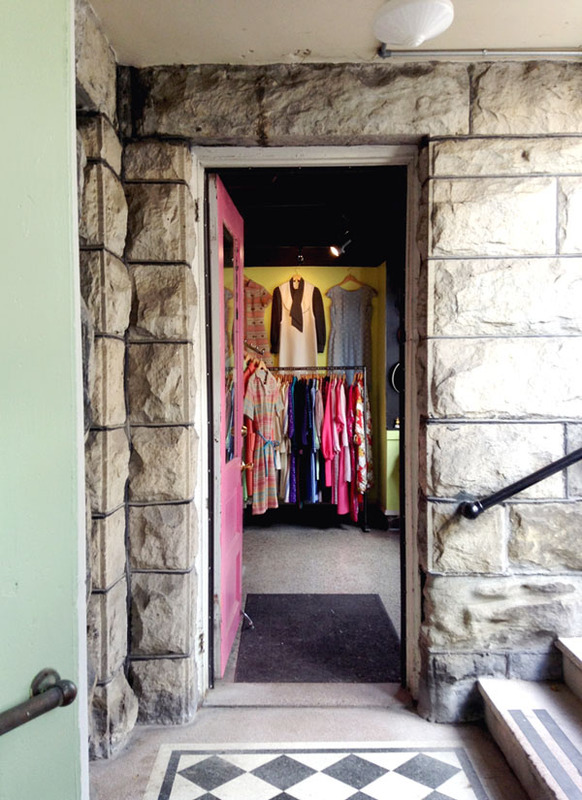 We’ll be walking around North High Street on Saturday, and I’ll share my favorites when I return, but I plan to visit: A Gal Named Cinda Lou, Tomorrow’s Antiques, Royal Factory Atelier, Smartypants Vintage, Grand View Mercantile, Flower Child Vintage, Bungalow Home, Happy Go Lucky Home, and Ladybird. 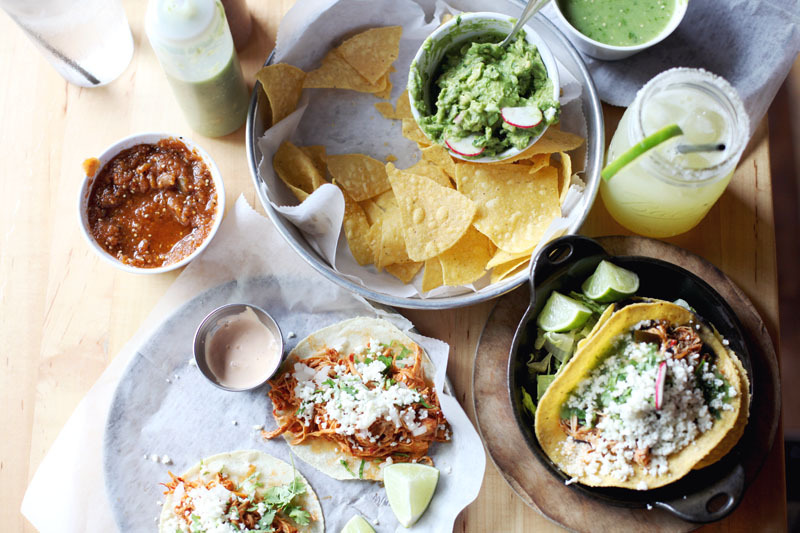 Bakersfield: The perfect Saturday lunch spot with amazing margaritas and classic Mexican food. A great break in a day of shopping! 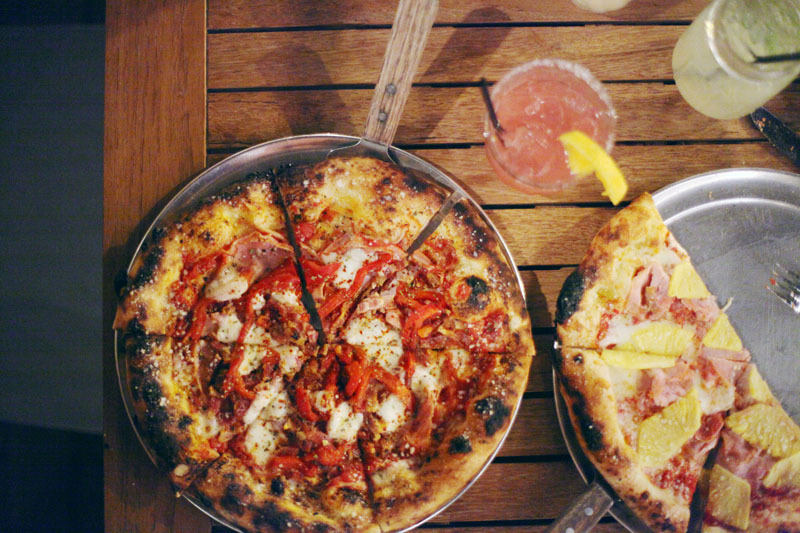 Harvest Pizzeria: Supposedly the best pizza in the city— and there’s a speakeasy attached! I can’t wait to check it out for dinner! North Market: The large, indoor market hosts farmer’s bounty on Saturday mornings, but we’ll be there on Sunday for food and the Market Flea. I can’t wait to see what treasures I discover! The Columbus Museum of Art: Free on Sundays! 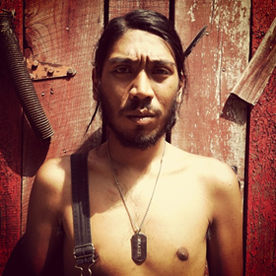 I’m looking forward to seeing the Modern Dialect exhibit if we have time to visit. Katalina’s Cafe Corner: A small and extremely charming carry-out restaurant with space to dine in. They have nutella stuffed pancake balls! Need I say more? 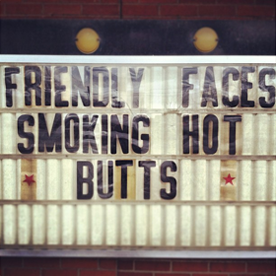 They’re really popular in the mornings, though, so we may stop by in the afternoon. I’ll be sharing our Columbus experience next week. We’re excited to have fun, unwind, and eat to our hearts’ content this weekend! 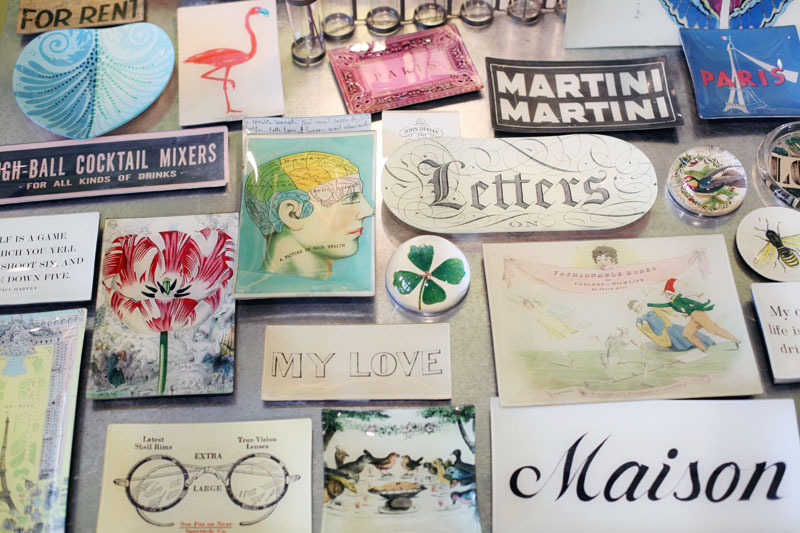 Be sure to send along your Columbus recommendations!